When it came time to choose a name for this visionary vessel, we looked to the very thing that makes this ship so unique: the fact that during two years of exploration and excitement, every single design element has been taken to the leading edge of possibility. The name was right there in front of us. 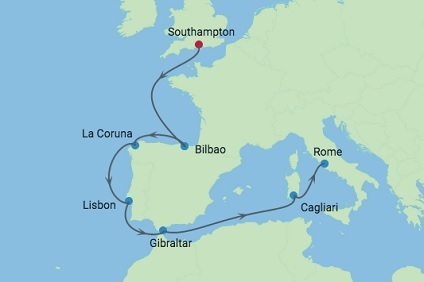 10 Night Cruise sailing from Southampton to Rome aboard Celebrity Edge. 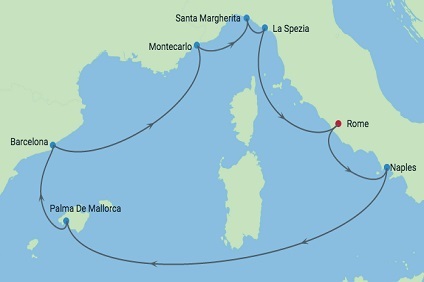 11 Night Cruise sailing from Rome roundtrip aboard Celebrity Edge. 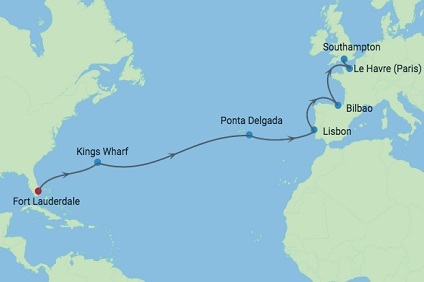 21 Night Cruise sailing from Rome roundtrip aboard Celebrity Edge. 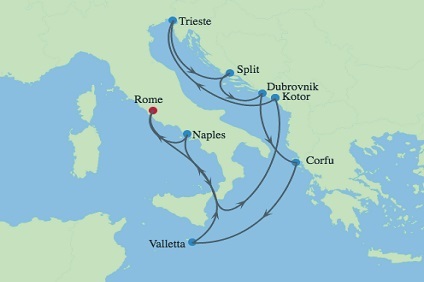 10 Night Cruise sailing from Rome roundtrip aboard Celebrity Edge. 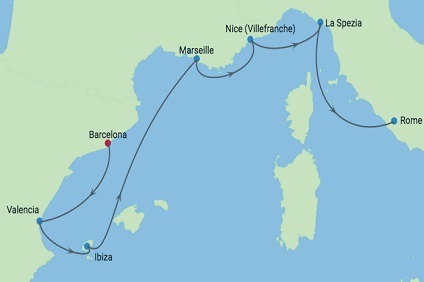 7 Night Cruise sailing from Rome to Barcelona aboard Celebrity Edge. 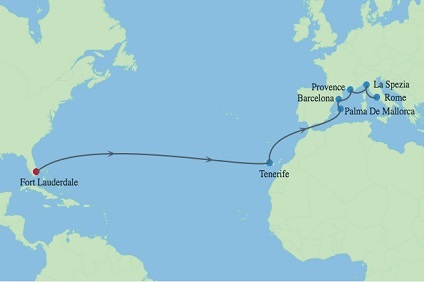 7 Night Cruise sailing from Barcelona to Rome aboard Celebrity Edge. 16 Night Cruise & Stay Cruise onboard Celebrity Edge! 9 Night Cruise sailing from Rome roundtrip aboard Celebrity Edge. 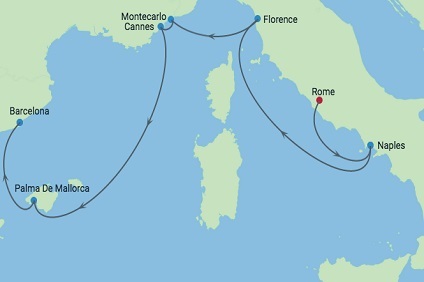 22 Night Fly, DOUBLE-Cruise & Stay Italy Spain Monaco & Amalfi Coast with Greek Isles Cruises onboard Celebrity Edge from Rome return including a 4-star stay in Rome! 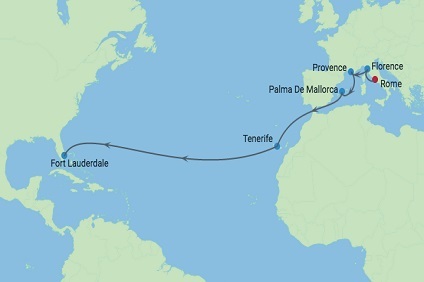 14 Night Cruise sailing from Rome to Ft Lauderdale aboard Celebrity Edge. 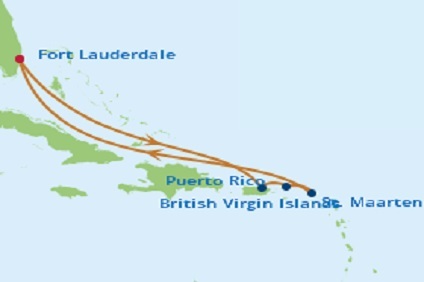 15 Night Cruise sailing from Ft Lauderdale to Rome aboard Celebrity Edge. Stateroom Features All staterooms and suites come complete with private bathroom, vanity area, hair-dryer, interactive TV, radio and phone. EV - Edge Villa The second new suite category on Celebrity EdgeSM. These six, two-story luxury residences are the first of their kind in the fleet. Each offers a spacious 950 square feet of split-level splendor, plus one bedroom and two bathrooms—perfect for up to four guests. The unique design of the Edge Villas seamlessly blends indoor and outdoor living. With two stories of windows that look out over the terrace (featuring a three-feet-deep plunge pool and inviting lounge furniture) to the incredible ocean views beyond, it’s an open and airy environment that truly invites the outside in, and vice versa. Edge Villas not only offer private outdoor terraces, but they also have direct access to The Retreat, an exclusive sanctuary for Suite Class guests. Step right out to The Retreat Sundeck and The Retreat Pool and bar, or retreat to your own private oceanfront villa. The choice is yours on Celebrity Edge. Stateroom: 756 sq. ft. and Veranda 216 sq. ft.
Stateroom Features All staterooms and suites come complete with private bathroom, vanity area, hair-dryer, interactive TV, radio and phone. RS - Royal Suite When you stay in a Royal Suite, you'll enjoy the luxury of European-style butler service. This includes assistance with unpacking and packing. In-suite lunch and dinner service. Afternoon tea. Evening hors d'oeuvres and complimentary in-suite espresso and cappuccino from Café al Bacio. Separate living room and dining area and a veranda with whirlpool and luxurious lounge seating. Stateroom: 702 sq. ft. and Veranda: 74 sq. ft.
Stateroom Features All staterooms and suites come complete with private bathroom, vanity area, hair-dryer, interactive TV, radio and phone. CS - Celebrity Suite When you stay in a Celebrity Suite, you'll enjoy the luxury of European-style butler service. This includes assistance with unpacking and packing. In-suite lunch and dinner service. Afternoon tea. Evening hors d'oeuvres and complimentary in-suite espresso and cappuccino from Café al Bacio. Stateroom: 470 sq. ft. and Veranda: 52 sq. ft. Special amenities for Celebrity Suites include: Access to the private Retreat Lounge Dedicated private restaurant, Luminae@The Retreat, reserved exclusively for Suite Class guests, Floor-to-ceiling sliding glass doors. Separate living room with dining and sitting area,Two entertainment centers with televisions, Walk-in closet, Welcome bottle of Blanc de Blancs sparkling wine, Bottled water on Embarkation Day, Daily Delectables rotation of savory and sweet snacks. Stateroom Features Our signature friendly, personalized service with a guest to staff ratio of nearly 2:1. Twice daily service (makeup and turndown. Ice service on request. 24-hour room service. Robe and complimentary tote bag. Custom blended bath products (shampoo, conditioner and lotion), shower cap, cotton balls and cotton swabs. Water/wine glasses and hair dryer. Cashmere CollectionSM king-sized luxury mattress hand-crafted in Italy. Private mini-bar* and interactive flat-screen television system to view and select shore excursions, order room service, and watch movies. * Private safe and dual voltage 110/220AC outlets *Additional charges apply. A1 - Aqua Class These veranda staterooms offer spa elements infused into the stateroom experience and priority seating in the chic AquaClass restaurant, Blu. These spa-inspired staterooms, offer unlimited access to the Canyon Ranch SpaClub® Persian Garden as well as a host of other soothing extras. If you love the spa, there's no finer way to travel. Stateroom: 201 sq. ft. and Veranda: 42 sq. ft.
Stateroom Features Our signature friendly, personalized service with a guest to staff ratio of nearly 2:1. Twice daily service (makeup and turndown. Ice service on request. 24-hour room service. Robe and complimentary tote bag. Custom blended bath products (shampoo, conditioner and lotion), shower cap, cotton balls and cotton swabs. Water/wine glasses and hair dryer. Cashmere CollectionSM king-sized luxury mattress hand-crafted in Italy. Private mini-bar* and interactive flat-screen television system to view and select shore excursions, order room service, and watch movies. * Private safe and dual voltage 110/220AC outlets *Additional charges apply. A2 - Aqua Class These veranda staterooms offer spa elements infused into the stateroom experience and priority seating in the chic AquaClass restaurant, Blu. These spa-inspired staterooms, offer unlimited access to the Canyon Ranch SpaClub® Persian Garden as well as a host of other soothing extras. If you love the spa, there's no finer way to travel. Stateroom: 201 sq. ft. and Veranda: 42 sq. ft.
Stateroom Features All staterooms include: Our signature friendly, personalized service with a guest to staff ratio of nearly 2:1.Twice daily service (makeup and turndown). Ice service on request. 24-hour room service. Robe and complimentary tote bag. Custom blended bath products (shampoo, conditioner and lotion), shower cap, cotton balls and cotton swabs. Water/wine glasses and hair dryer. Cashmere collection king-sized luxury mattress hand-crafted in Italy. Private mini-bar*. Interactive Samsung flat-screen television system to view and select shore excursions, order room service, and watch movies*. Private safe and dual voltage 110/220AC outlets. *Additional charges apply. C1 - Concierge Class Concierge Class staterooms are well-appointed, personal retreats located in some of the most-desirable locations on the ship. As a Concierge Class guest, your team of dedicated professionals will take care of all your vacation needs. From Priority Check-In—when you’re greeted by your Concierge—to the moment you head back home, we’re there to assist you. Stateroom: 201 sq. ft. and Veranda: 42 sq. ft.
Stateroom Features All staterooms include: Our signature friendly, personalized service with a guest to staff ratio of nearly 2:1.Twice daily service (makeup and turndown). Ice service on request. 24-hour room service. Robe and complimentary tote bag. Custom blended bath products (shampoo, conditioner and lotion), shower cap, cotton balls and cotton swabs. Water/wine glasses and hair dryer. Cashmere collection king-sized luxury mattress hand-crafted in Italy. Private mini-bar*. Interactive Samsung flat-screen television system to view and select shore excursions, order room service, and watch movies*. Private safe and dual voltage 110/220AC outlets. *Additional charges apply. C2 - Concierge Class Concierge Class staterooms are well-appointed, personal retreats located in some of the most-desirable locations on the ship. As a Concierge Class guest, your team of dedicated professionals will take care of all your vacation needs. From Priority Check-In—when you’re greeted by your Concierge—to the moment you head back home, we’re there to assist you. Stateroom: 201 sq. ft. and Veranda: 42 sq. ft.
Stateroom Features All staterooms include: Our signature friendly, personalized service with a guest to staff ratio of nearly 2:1.Twice daily service (makeup and turndown). Ice service on request. 24-hour room service. Robe and complimentary tote bag. Custom blended bath products (shampoo, conditioner and lotion), shower cap, cotton balls and cotton swabs. Water/wine glasses and hair dryer. Cashmere collection king-sized luxury mattress hand-crafted in Italy. Private mini-bar*. Interactive Samsung flat-screen television system to view and select shore excursions, order room service, and watch movies*. Private safe and dual voltage 110/220AC outlets. *Additional charges apply. C3 - Concierge Class Concierge Class staterooms are well-appointed, personal retreats located in some of the most-desirable locations on the ship. As a Concierge Class guest, your team of dedicated professionals will take care of all your vacation needs. From Priority Check-In—when you’re greeted by your Concierge—to the moment you head back home, we’re there to assist you. Stateroom: 201 sq. ft. and Veranda: 42 sq. ft.
Stateroom Features Our signature friendly, personalized service with a guest to staff ratio of nearly 2:1.Twice daily service (makeup and turndown). Daily ice service in stain less steel ice buckets. 24-hour room service. Complimentary tote bag. Custom blended bath products (shampoo, conditioner and lotion), shower cap, cotton balls and cotton swabs. Water/wine glasses and hair dryer. Queen-sized bed from our Cashmere CollectionSM. Private Infinity Veranda which blurs the line between indoors and outdoors at the touch of a button. Private mini-bar. 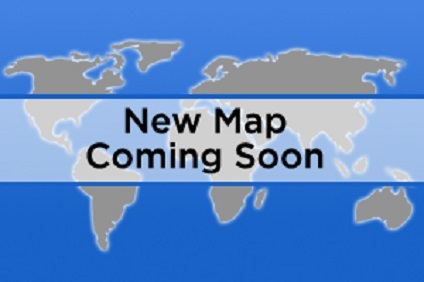 * Interactive flat-screen television system to view and select shore excursions, order room service, and watch movies. * Private safe and dual voltage 110/220AC outlets. *Additional charges apply. ES - Edge Single Strm wInfinite Ver These new and incredible staterooms take our standard veranda stateroom and, with the touch of a button, blur—even erase—the boundaries between inside and outside living space. Your entire living space becomes the veranda, letting you walk right out to the water’s edge. Edge StateroomsSM offer the latest technology that allows you to precisely adjust nearly every comfort feature in your stateroom. The in-room automation allows you to control everything from lighting, to shades, to temperature, and service with a simple touch screen. Stateroom: 142 sq. ft and Veranda: 42 sq. ft.
Stateroom Features Our signature friendly, personalized service with a guest to staff ratio of nearly 2:1. Twice daily service (makeup and turndown. Ice service on request. 24-hour room service. Robe and custom blended bath products (shampoo, conditioner and lotion), shower cap, cotton balls and cotton swabs. Water/wine glasses, and hair dryer. King-sized bed from our Cashmere CollectionSM . Private mini-bar* Interactive flat-screen television system to view and select shore excursions, order room service, and watch movies. * Private safe and dual voltage 110/220AC outlets. Staterooms with an upper bed and sofa bed that sleeps two accommodate a maximum of four guests. *Additional charges apply. SV - Sunset Veranda Stateroom Spacious staterooms located in the aft of the ship, each with its own extra-large private veranda to enjoy the beautiful sunsets. Stateroom: 228 sq. ft. and Veranda: 89 sq. ft.
Stateroom Features All staterooms include: Our signature friendly, personalized service with a guest to staff ratio of nearly 2:1.Twice daily service (makeup and turndown). Ice service on request. 24-hour room service. Robe, custom blended bath products (shampoo, conditioner and lotion), shower cap, cotton balls and cotton swabs. Water/wine glasses and hair dryer. Cashmere collection king-sized luxury mattress hand-crafted in Italy. Private mini-bar*. Interactive Samsung flat-screen television system to view and select shore excursions, order room service, and watch movies*. Private safe and dual voltage 110/220AC outlets. Staterooms with an upper bed and sofa bed that sleeps two accommodate a maximum of four guests. *Additional charges apply. 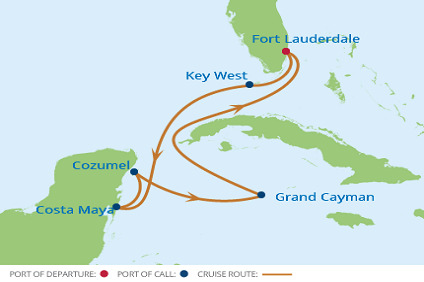 1A - Deluxe OceanView Strm wVeranda Spacious staterooms located throughout the ship, each with its own private veranda. Stateroom: 201 sq. ft. and Veranda: 40 sq. ft.
Stateroom Features All staterooms include: Our signature friendly, personalized service with a guest to staff ratio of nearly 2:1.Twice daily service (makeup and turndown). Ice service on request. 24-hour room service. Robe, custom blended bath products (shampoo, conditioner and lotion), shower cap, cotton balls and cotton swabs. Water/wine glasses and hair dryer. Cashmere collection king-sized luxury mattress hand-crafted in Italy. Private mini-bar*. Interactive Samsung flat-screen television system to view and select shore excursions, order room service, and watch movies*. Private safe and dual voltage 110/220AC outlets. Staterooms with an upper bed and sofa bed that sleeps two accommodate a maximum of four guests. *Additional charges apply. 1B - Deluxe OceanView Strm wVeranda Spacious staterooms located throughout the ship, each with its own private veranda. Stateroom: 201 sq. ft. and Veranda: 40 sq. ft.
Stateroom Features All staterooms include: Our signature friendly, personalized service with a guest to staff ratio of nearly 2:1.Twice daily service (makeup and turndown). Ice service on request. 24-hour room service. Robe, custom blended bath products (shampoo, conditioner and lotion), shower cap, cotton balls and cotton swabs. Water/wine glasses and hair dryer. Cashmere collection king-sized luxury mattress hand-crafted in Italy. Private mini-bar*. Interactive Samsung flat-screen television system to view and select shore excursions, order room service, and watch movies*. Private safe and dual voltage 110/220AC outlets. Staterooms with an upper bed and sofa bed that sleeps two accommodate a maximum of four guests. *Additional charges apply. X - Guarantee Veranda Spacious staterooms located throughout the ship, each with its own private veranda. Stateroom: 201 sq. ft. and Veranda: 40 sq. ft.
Stateroom Features All staterooms include: Our signature friendly, personalized service with a guest to staff ratio of nearly 2:1.Twice daily service (makeup and turndown). Daily ice service in stainless steel ice buckets. 24-hour room service. Robe and complimentary tote bag. Custom blended bath products (shampoo, conditioner and lotion), shower cap, cotton balls and cotton swabs. Water/wine glasses and hair dryer. Cashmere CollectionSM king-sized luxury mattress. Private mini-bar* and interactive flat-screen television system to view and select shore excursions, order room service, and watch movies*. Private safe and dual voltage 110/220AC outlets. *Additional charges apply. IO - Panoramic Ocean View Stateroom These are mid-ship staterooms with large windows and a sitting area where you can kick back and relax after a day that has been as busy or chill as you want it. Stateroom: 212 sq. ft.
Stateroom Features All staterooms include: Our signature friendly, personalized service with a guest to staff ratio of nearly 2:1.Twice daily service (makeup and turndown). Daily ice service in stainless steel ice buckets. 24-hour room service. Robe and complimentary tote bag. Custom blended bath products (shampoo, conditioner and lotion), shower cap, cotton balls and cotton swabs. Water/wine glasses and hair dryer. Cashmere CollectionSM king-sized luxury mattress. Private mini-bar* and interactive flat-screen television system to view and select shore excursions, order room service, and watch movies*. Private safe and dual voltage 110/220AC outlets. *Additional charges apply. 06 - Deluxe Ocean View Stateroom Staterooms with large windows and a sitting area where you can kick back and relax after a day that has been as busy or relaxing as you want it. Stateroom: 238 sq. ft.
Stateroom Features Our signature friendly, personalized service with a guest to staff ratio of nearly 2:1.Twice daily service (makeup and turndown). Daily ice service in stainless steel ice buckets. 24-hour room service. Complimentary tote bag. Custom blended bath products (shampoo, conditioner and lotion), shower cap, cotton balls and cotton swabs. Water/wine glasses and hair dryer. Cashmere CollectionSM king-sized luxury mattress . Private mini-bar. 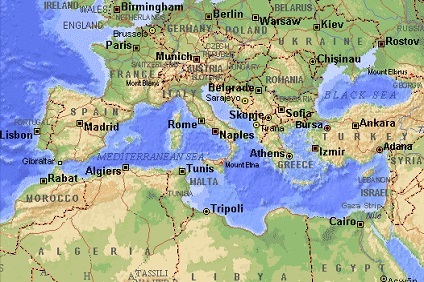 * Interactive flat-screen television system to view and select shore excursions, order room service, and watch movies. * Private safe and dual voltage 110/220AC outlets. *Additional charges apply. 07 - Ocean View Stateroom Staterooms with large windows and a sitting area where you can kick back and relax after a day that has been as busy or relaxing as you want it. Stateroom: 200 sq. ft.
Stateroom Features Our signature friendly, personalized service with a guest to staff ratio of nearly 2:1.Twice daily service (makeup and turndown). Daily ice service in stainless steel ice buckets. 24-hour room service. Complimentary tote bag. Custom blended bath products (shampoo, conditioner and lotion), shower cap, cotton balls and cotton swabs. Water/wine glasses and hair dryer. Cashmere CollectionSM king-sized luxury mattress . Private mini-bar. * Interactive flat-screen television system to view and select shore excursions, order room service, and watch movies. * Private safe and dual voltage 110/220AC outlets. *Additional charges apply. 08 - Ocean View Stateroom Staterooms with large windows and a sitting area where you can kick back and relax after a day that has been as busy or relaxing as you want it. Stateroom: 200 sq. ft.
Stateroom Features All staterooms include: Our signature friendly, personalized service with a guest to staff ratio of nearly 2:1.Twice daily service (makeup and turndown). Daily ice service in stainless steel ice buckets. 24-hour room service. Robe and complimentary tote bag. Custom blended bath products (shampoo, conditioner and lotion), shower cap, cotton balls and cotton swabs. Water/wine glasses and hair dryer. Cashmere CollectionSM king-sized luxury mattres. Private mini-bar* and interactive flat-screen television system to view and select shore excursions, order room service, and watch movies*. Private safe and dual voltage 110/220AC outlets. *Additional charges apply. 09 - Deluxe Inside Stateroom Stateroom with ample living space with a sofa and sitting area - a home away from home. Stateroom: 202 sq. ft.
Stateroom Features All staterooms include: Our signature friendly, personalized service with a guest to staff ratio of nearly 2:1.Twice daily service (makeup and turndown). Daily ice service in stainless steel ice buckets. 24-hour room service. Robe and complimentary tote bag. Custom blended bath products (shampoo, conditioner and lotion), shower cap, cotton balls and cotton swabs. Water/wine glasses and hair dryer. Cashmere CollectionSM king-sized luxury mattres. Private mini-bar* and interactive flat-screen television system to view and select shore excursions, order room service, and watch movies*. Private safe and dual voltage 110/220AC outlets. *Additional charges apply. 10 - Deluxe Inside Stateroom Stateroom with ample living space with a sofa and sitting area - a home away from home. Stateroom: 202 sq. ft.
tateroom Features All staterooms include: Our signature friendly, personalized service with a guest to staff ratio of nearly 2:1.Twice daily service (makeup and turndown). Daily ice service in stainless steel ice buckets. 24-hour room service. Robe and complimentary tote bag. Custom blended bath products (shampoo, conditioner and lotion), shower cap, cotton balls and cotton swabs. Water/wine glasses and hair dryer. Cashmere CollectionSM king-sized luxury mattres. Private mini-bar* and interactive flat-screen television system to view and select shore excursions, order room service, and watch movies*. Private safe and dual voltage 110/220AC outlets. *Additional charges apply. 11 - Deluxe Inside Stateroom Stateroom with ample living space with a sofa and sitting area - a home away from home. Stateroom: 202 sq. ft.
Stateroom Features Our signature friendly, personalized service with a guest to staff ratio of nearly 2:1. Twice daily service (makeup and turndown). Ice service on request. 24-hour room service. Robe and complimentary tote bag. Custom blended bath products (shampoo, conditioner and lotion), shower cap, cotton balls and cotton swabs. Water/wine glasses and hair dryer. Cashmere CollectionSM king-sized luxury mattress. Private mini-bar* and interactive flat-screen television system to view and select shore excursions, order room service, and watch movies. * Private safe and dual voltage 110/220AC outlets. *Additional charges apply. 12 - Inside Stateroom Stateroom with ample living space with a sofa and sitting area - a home away from home. Stateroom: 181 sq. ft.
Stateroom Features Our signature friendly, personalized service with a guest to staff ratio of nearly 2:1. Twice daily service (makeup and turndown). Ice service on request. 24-hour room service. Robe and complimentary tote bag. Custom blended bath products (shampoo, conditioner and lotion), shower cap, cotton balls and cotton swabs. Water/wine glasses and hair dryer. Cashmere CollectionSM king-sized luxury mattress. Private mini-bar* and interactive flat-screen television system to view and select shore excursions, order room service, and watch movies. * Private safe and dual voltage 110/220AC outlets. *Additional charges apply. Z - Inside Strm Stateroom with ample living space with a sofa and sitting area - a home away from home. Stateroom: 181 sq. ft.